Disclosure: I was invited to check our Harvest Haus in a group of 4. We were given free entry, stein rentals and 16 beers to share amongst the group. This is Harvest Haus' 4th and largest year Volkfest. We were there for opening night. This year it was moved near the Stadium at Sole Food Farms as it has outgrown it's home the past 3 years at the Queen Elizabeth Theatre Plaza. Every weekend for the month of October they will be having a Bavarian style party. Choose from one of seven sittings, including the return of The Stein Games, Lippensynchron Battle, The Duelling Arts as well as the introduction of The Clash of the Axes, to help celebrate the season. Back by popular demand, we’re excited to welcome back Vancouver’s very own traditional Oom-pah Band The Oktoberators for both weekends of fun! Additionally, direct from Germany and back for his fourth year running, DJ Erick Decks will be spinning throughout each sitting. 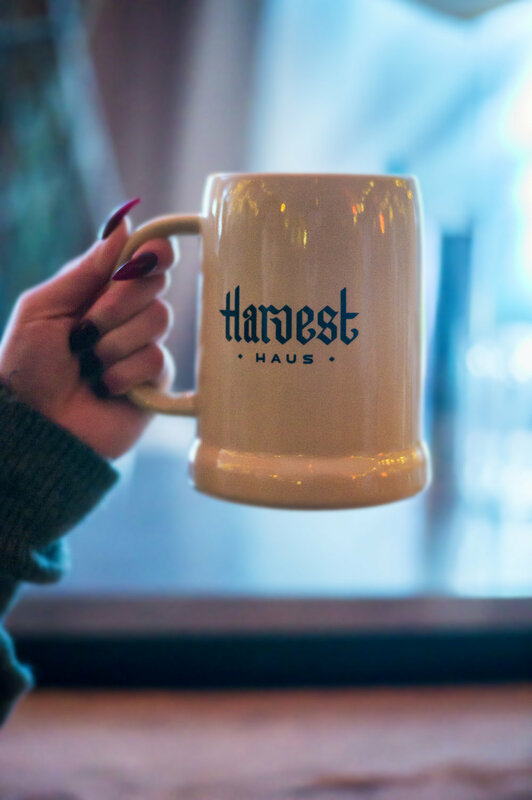 Join us as we celebrate the reopening of the Harvest Haus doors. PROST! 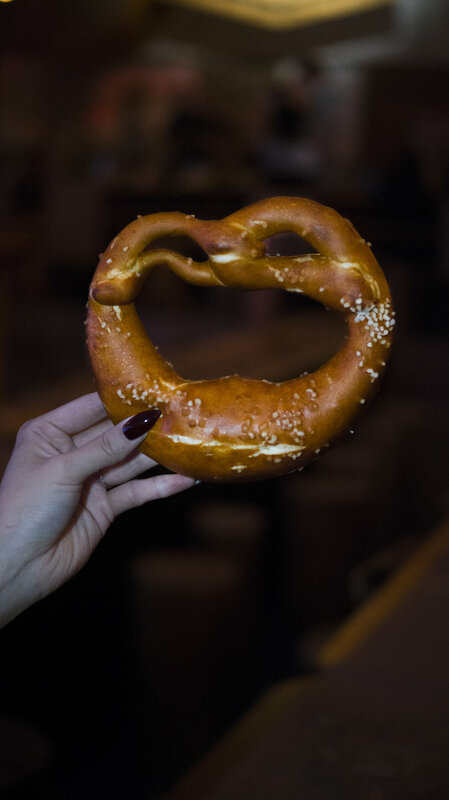 We’re about kick off the party, Bavarian style. This night is all about honouring the true traditions of the Harvest - with one exciting new addition: take part in some axe-throwing (complimentary for this night only)! The Duelling Arts graces the Harvest Halle once again! Embrace the thrills of swordplay hosted by Academie Duello, bier, and take part in some competitive axe-throwing hosted by the Axewood Crew! Think you've got what it takes to compete in The Clash of the Axes?! Let's find out who has the strength and finesse on this evening on medieval action! The Stein Games return! Saturday afternoon once again hosts this exciting beer sports competition. Feel the Halle swell with festive rivalry, amping the usual festive revelry! Multiple games, including Stein Pong, will be contested so come watch or take part with a team! This is a return of the popular lip sync competition. Where you can either come to do battle, or come to be entertained by the teams who compete to the best best of their abilities, with some pretty creative routines. Tonight we're expecting the most stylish Burgers and Matrones to make their case for being the best dressed and we are even looking for bands of merry-meisters to come in group costumes! To top it all off a special host will lead us in Zany Mode! We always like to fill the Halle with song and this afternoon will be our best attempt! Join us for the return of the über popular Lippensynchron Battle! Be entertained as teams compete to Synch the best with fun, funky, and frivolous routines. The ultimate in Harvest Haus evenings, and the most vibrant night of the week. Grab your kamerades and put on your most comfortable dancing boots, tonight is the Halle's preeminent evening of celebration. Drink, jig, and have a roaring time!